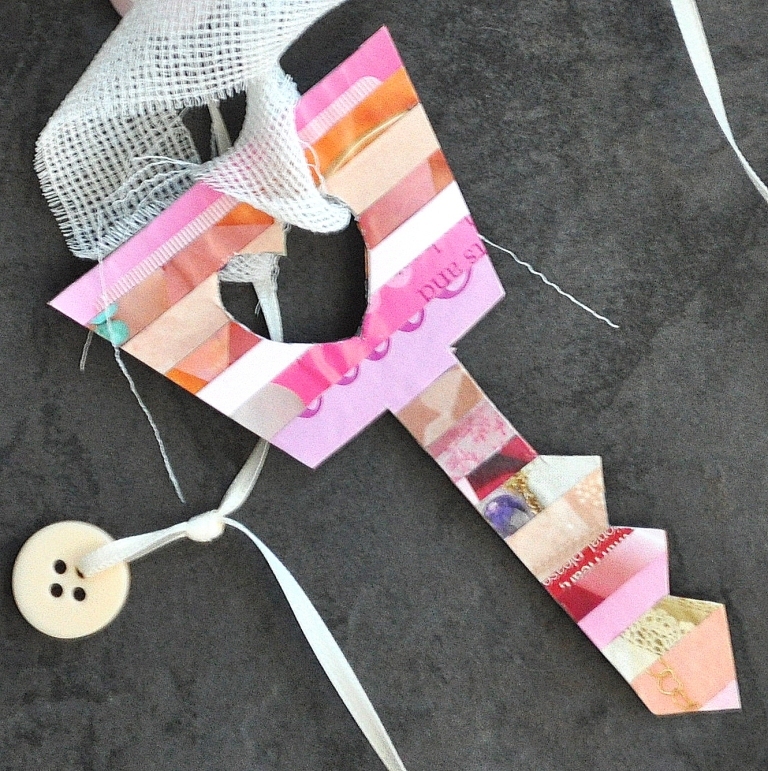 the charming imagery of the key makes its way into my favorite paper crafting technique. So I made a few and strung them together. And added a few pale colored buttons to a narrow strand of ribbon, just because. It was my first project using the Cameo. The big plus for me is the ability to import free-hand drawings. I love this little sawtooth key – reminds me of big clunky car keys from years gone by. And of course the wavy version of the timeless skeleton key. Just a little touch of love to brighten up a small corner of the world. Hope you have a fabulous weekend and thank you for stopping by today! 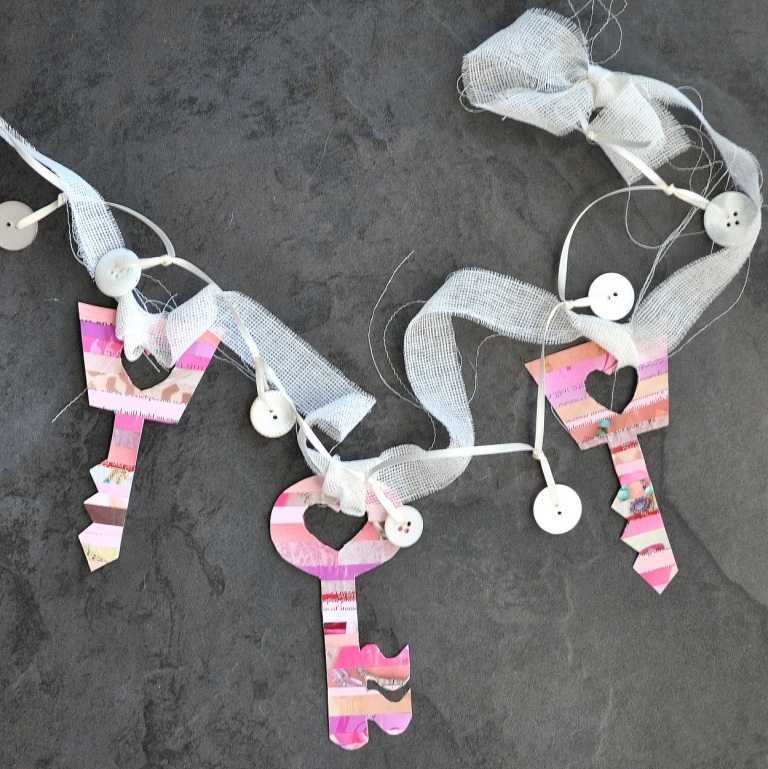 Diane, this key chain garland is BEYOND adorable! The colors are so cheery and sweet. And I love how you used the various textures of paper, ribbon, gauze, and of course….those precious buttons! Thanks for sharing, dear friend! You always inspire me! Much X to you and C! Okay…..too cute! And what a cool project to use the prezzie on. That’s pretty cool that it takes what you draw freehand and converts it! 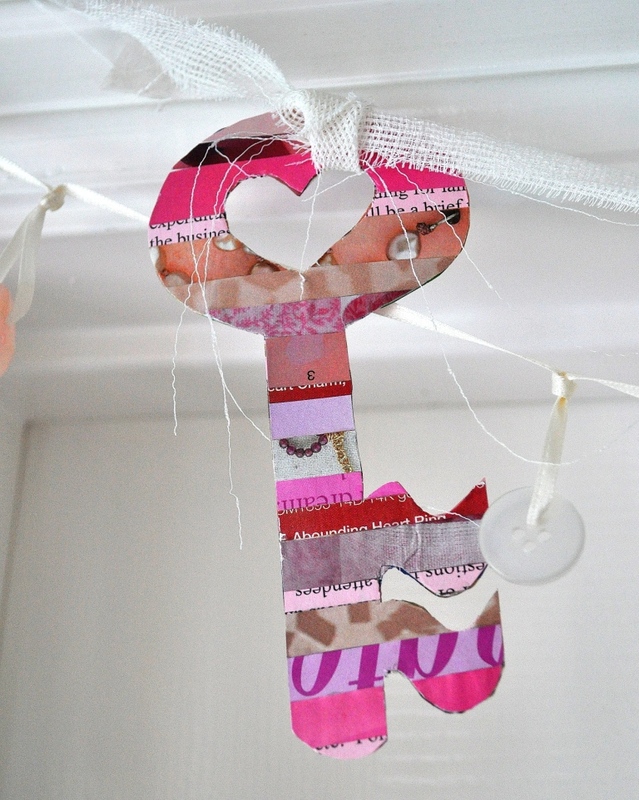 And this one’s perfect for the little doorway….and just in time for Valentines! 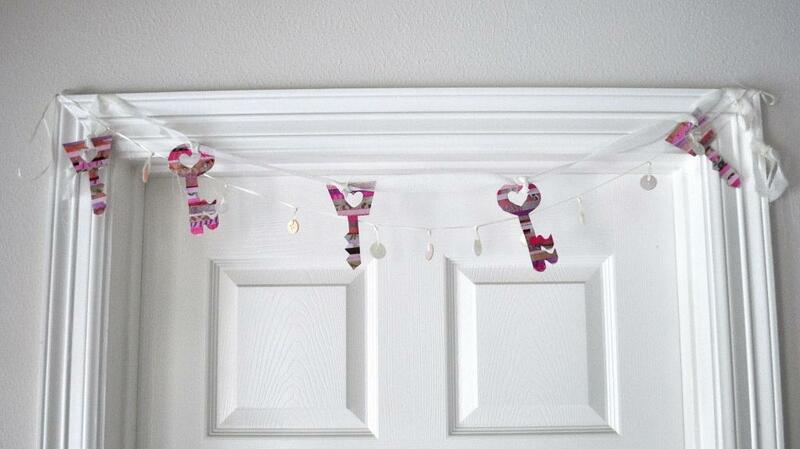 So cute, the perfect little V-day decor! What a neat idea! I havent seen keys done yet. I like! !